Coffee, tea, frappe and you name it. Consumer packaged goods producer AGFoods.eu keeps it’s customers rocking since 1990 in Slovakia, Poland, Hungary, Czech and all over the Europe including Great Britain and Russia. 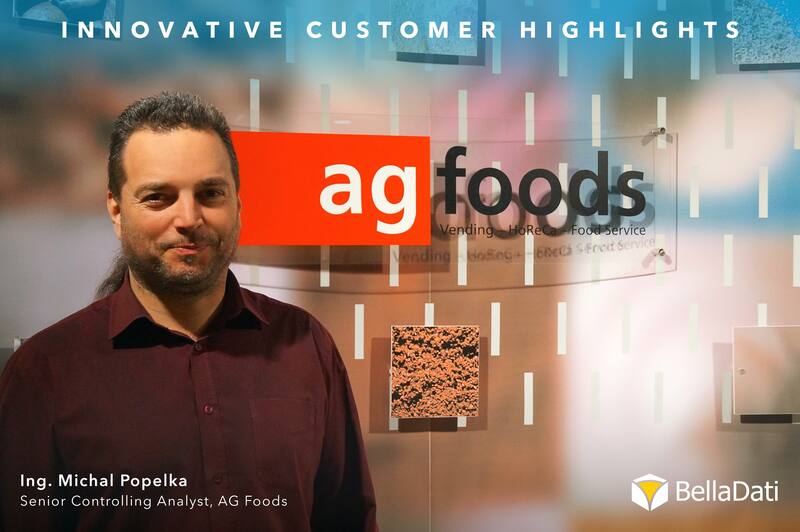 In this Innovative Customer Highlights edition we are having AGFoods senior controlling analyst, Michal Popelka. He shared with us, how his team gets better insights from consumer packaged goods data with cloud based BI. Can you tell us how long have you been using BellaDati? How did you select new BI solution? Correct me, but your data analytics team is not large. Right? We have got team of 3 data analysts. Since my team is not large we need effective solutions. Our focus is on data mining, management dashboards and forecasting (plan and actual business development comparisons). How many users are accessing reports and is it self-service process? 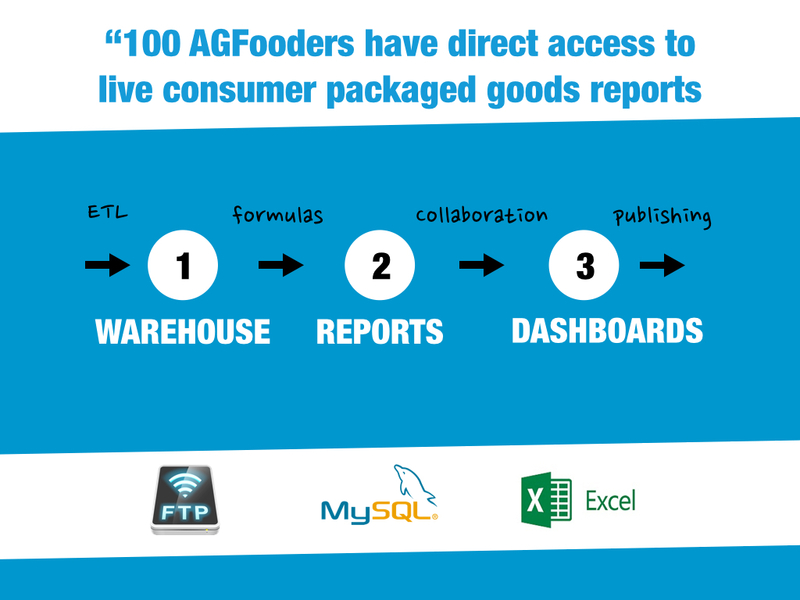 We streamlined access to reports and dashboards for 100 AGFooders roughly in 3 weeks. 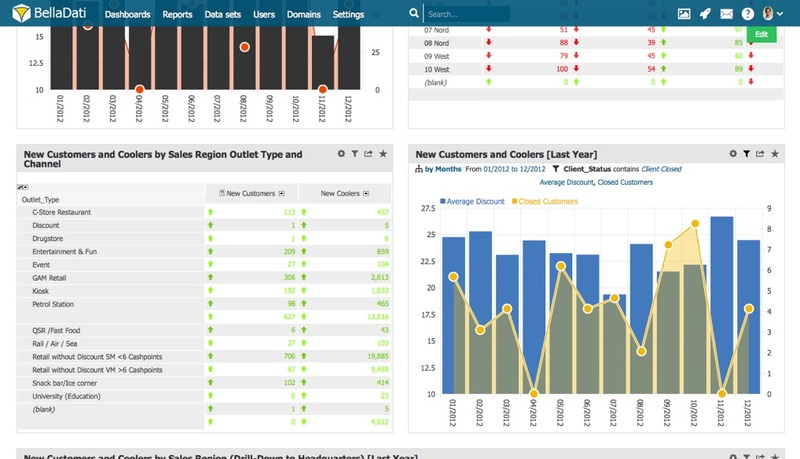 So business users can interact with reports and drill-down on their own and we can focus on finding new correlations to improve our sales or operations results. They access all reports trough web-browser. What is your data analytics focus and what are main KPIs used? And we can actually see it as well in statistics of BellaDati activity monitor. Can you provide us with details about deployment of your new BI solution? Time and skills needed? Cloud service was available instantly. We decided for short training from BellaDati professional services. It was mostly in regards of the best practices related to data connectivity and data cleaning. It took 10 man days to fill system with key reports. All the actionable reports we are creating on our own and the number is growing each day. Once report is ready, we share it with business teams. They do specific filtering, drill-downs, data visualizations on their own. What will be the next type of data to analyze? We have got already plans to create new reports focused on manufacturing, service and transportation logistics data. Thank you for having you here for this edition of Innovative Customer Highlights.